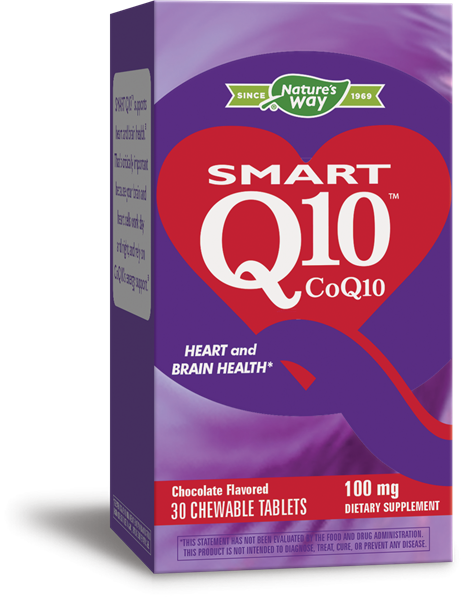 SMART Q10™ CoQ10 100 mg / 30 chew tabs Chocolate - Nature's Way®. Adults: Chew one tablet once or twice daily, or as recommended by a healthcare professional. Children: As recommended by a healthcare professional. If pregnant, nursing, or taking any medications, consult a healthcare professional before use.